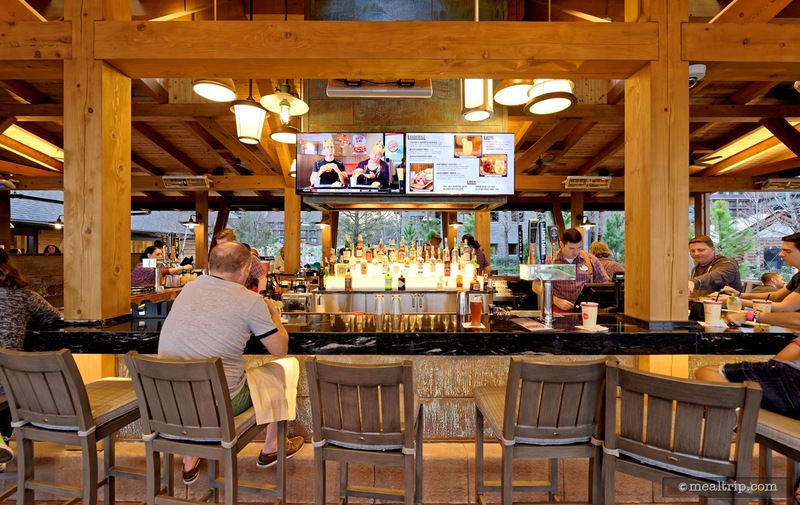 The Geyser Point Bar and Grill "Lounge" is located along the waterside at the very back of the Wilderness Lodge Resort (past the pool, close to... you guessed it... the Geyser). It's quite a picturesque setting, if the weather is good and/or if it's after sundown. 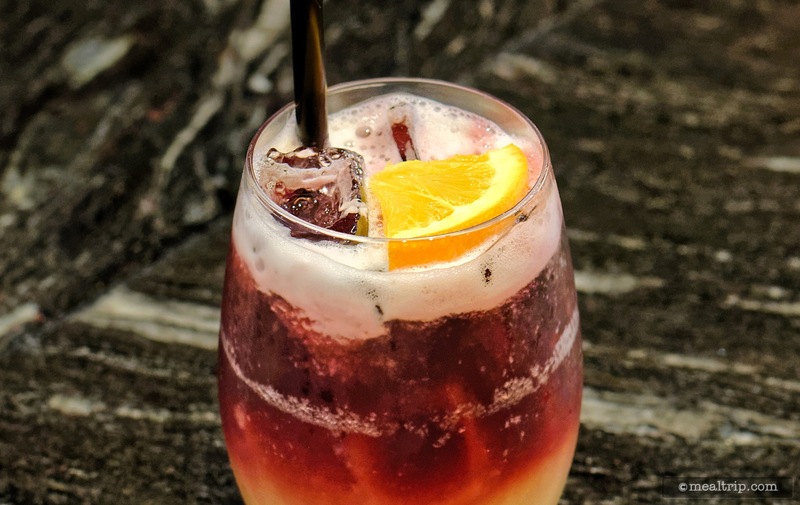 The "lounge" features a decent selection of wine, beer and a few cocktails with a focus on regional options from the Pacific Northwest, along with a half dozen small plate food items that are also themed to the Pacific Northwest. The "lounge" (i.e. adult beverages) and small plate food selections are offered from 11am to midnight (12am). There is also a nearby counter service window that offers hot sandwiches, salads, and a couple of desserts. 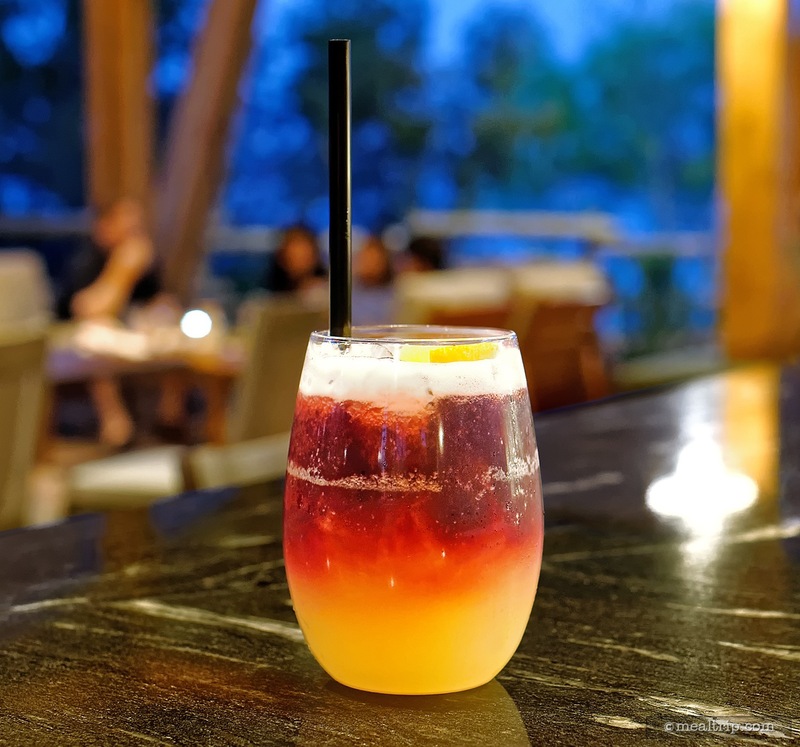 The Geyser Point Bar and Grill is a new "lounge" at Disney's Wilderness Lodge Resort… and it's also a counter service location for breakfast, lunch and dinner… at least until Roaring Forks opens after it's refurbishment. 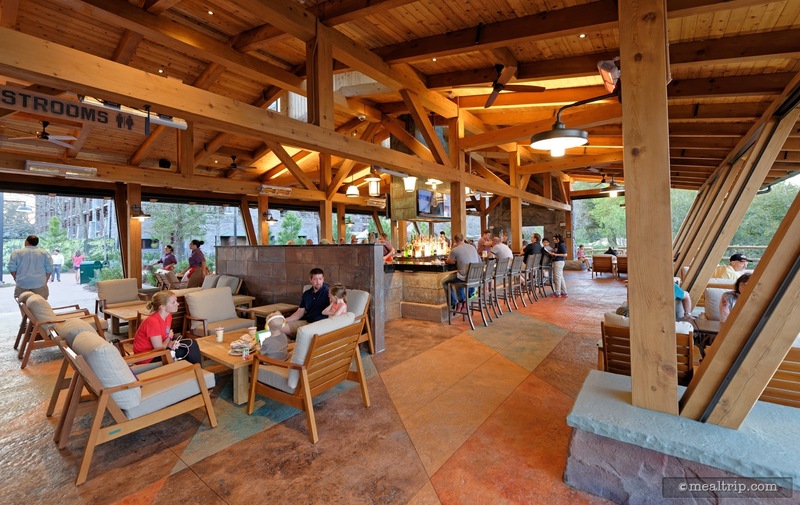 As far as the lounge area goes, it's a great addition to the lounge portfolio at Disney resorts. This is an open-air (but fully covered) space that sits right on the water's edge. 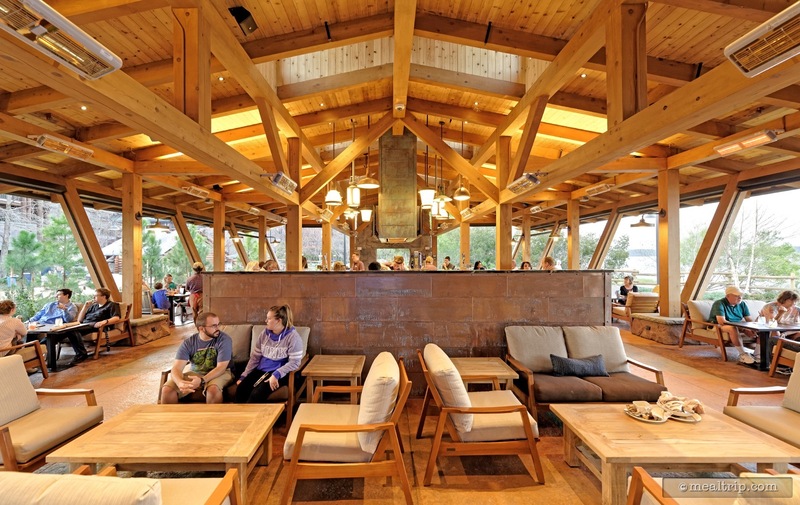 The design of the space fits in beautifully with the Wilderness Lodge and appropriately feels more modern-Pacific northwest and not Cowboy and Indian kitschy. The view of the lake is amazing, the chairs are very loungey and it's fairly large compared to other Disney lounges. 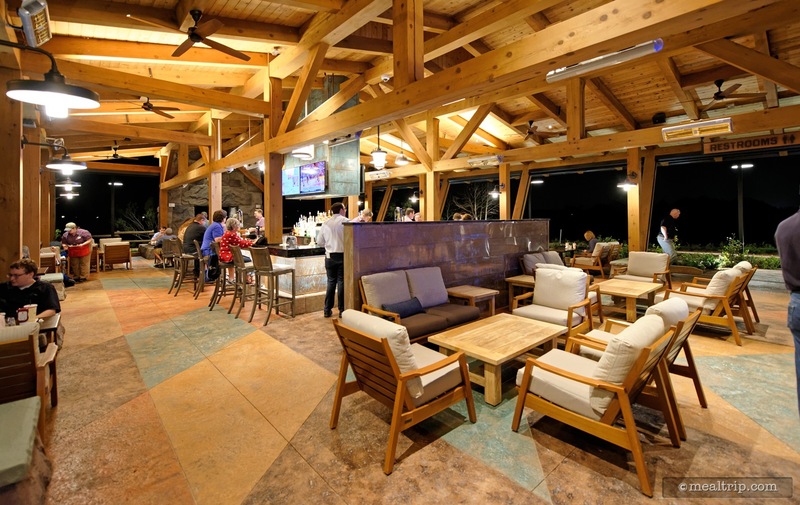 The Geyser Point Bar and Grill is also very accessible by way of the boats that dock at the back of the resort, almost more accessible than by way of the Wilderness Lodge parking lot. Just get off any of the docking boats, follow the walkway off the water and hang a left. You'll see Geyser Point once you get past the Geyser and pool area. 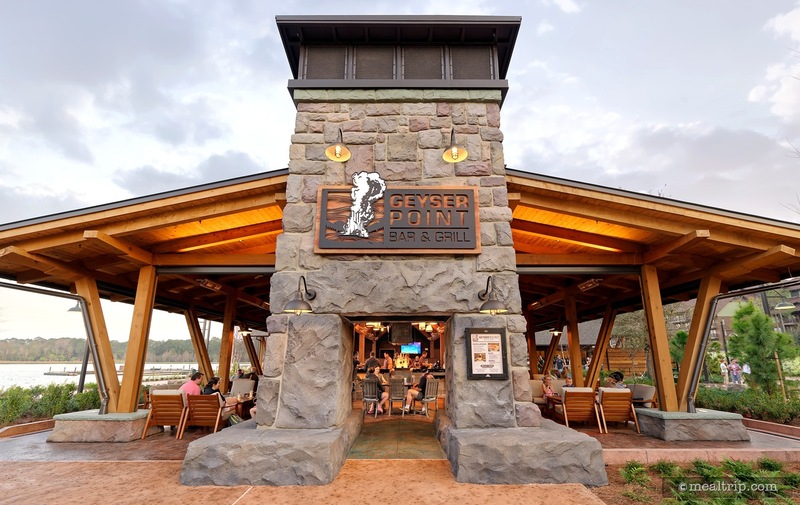 There's a good selection of regional specific wines and beers available along with five featured cocktails that can only be found here at Geyser Point. 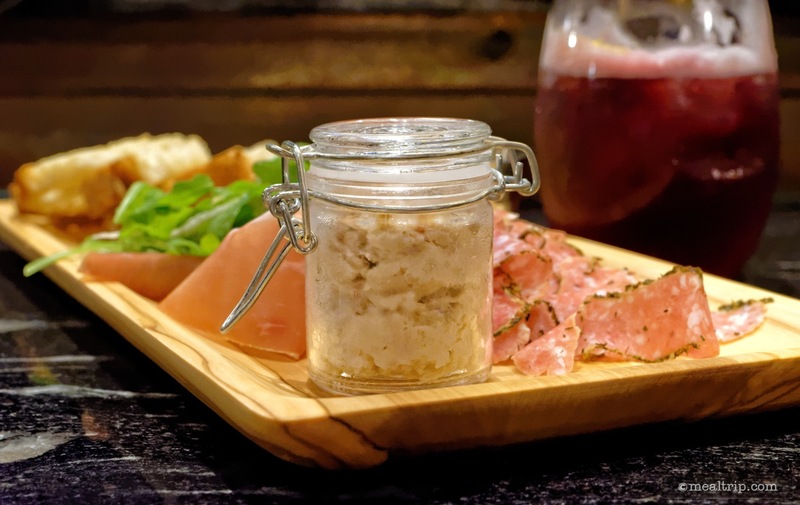 In addition to the beverages, there are six small-plate food items available, including a Cheesy Barbecue Brisket, Shrimp on a Wire, Salmon Rillette and a Handcrafted Charcuterie board. 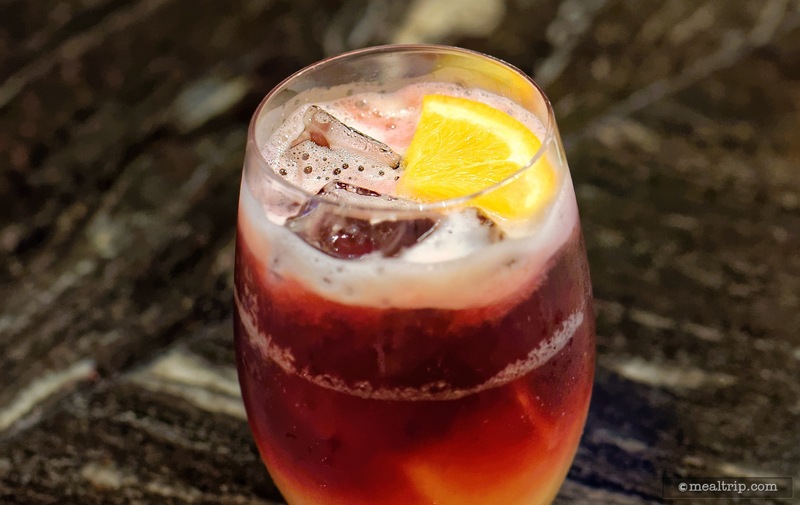 I decided to sample the Cascadia Sangria Cocktail which is made with Zodiac Black Cherry Vodka (which is actually clear), fresh lime and orange juice, and topped with Columbia Crest's H3 Merlot (that's what is providing the dark cherry color at the top of the drink). While I'm not a huge fan of the thin plastic glasses with built-in thumb dimples… it was a very good mixed beverage and it was made fresh. There's none of those pre-mixed juice bins around (like I've seen at a few in-park lounges). To see what the small plate food items are like, I ordered the Handcrafted Charcuterie board. It's every bit as good as the board at Artist Point (and contains a few of the same components)... while also not being quite as exotic. More accessible, more loungey. Perfect. 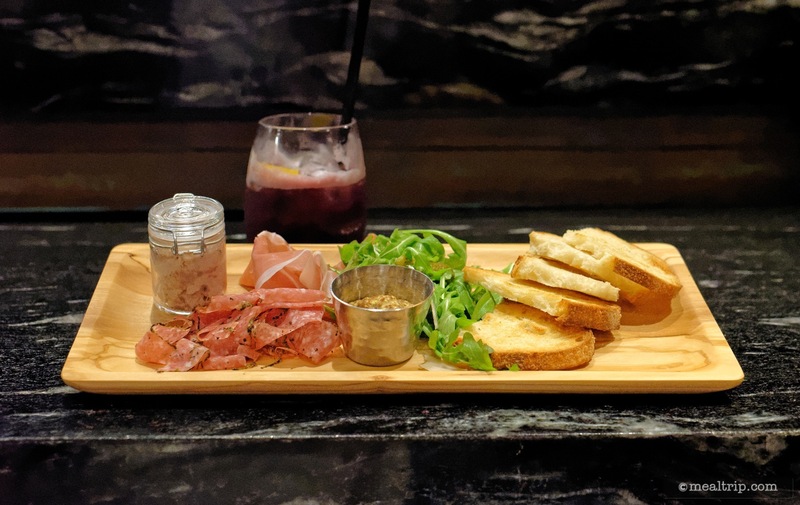 The components included Berkshire Prosciutto, Herbed Salumi, Duck Rilette, Whole Grained Mustard, Parmesan and Arugula Accoutrement (with a couple of Cornichon Pickles in the mix) and Charred Sourdough Loaf. 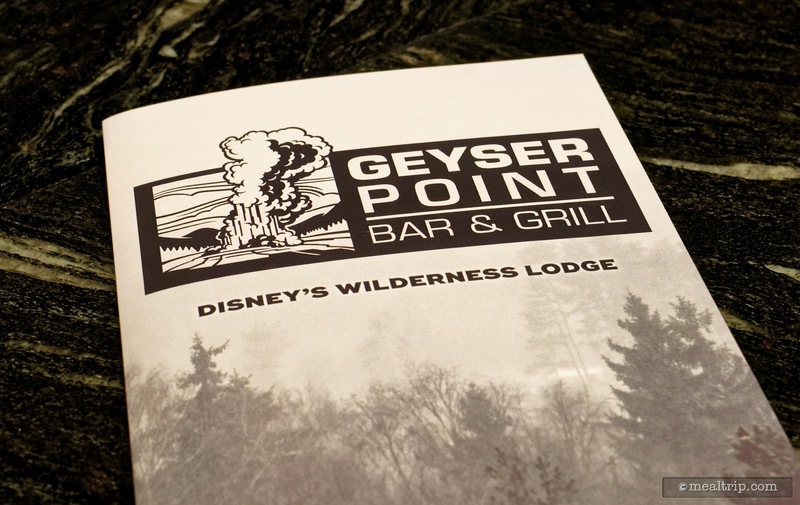 Geyser Point is a great new addition to the lounge line-up and I look forward to returning to try some of the other items. 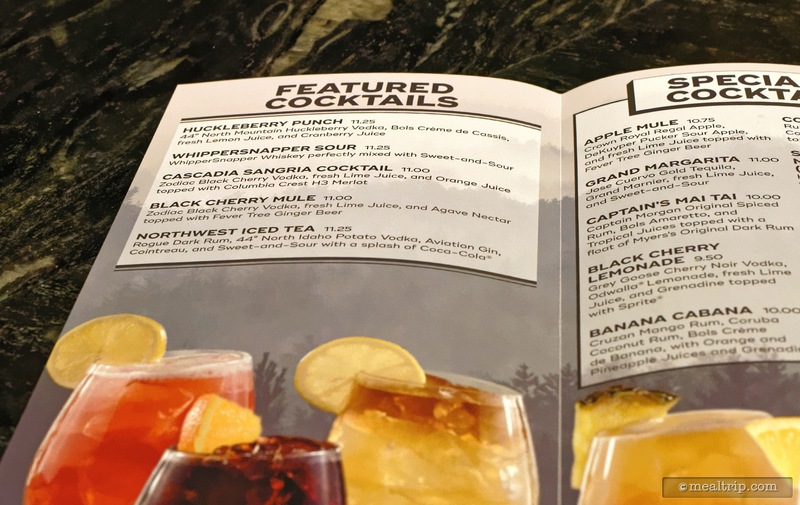 If you're not acclimated with Disney lounge pricing… it can add up quickly. 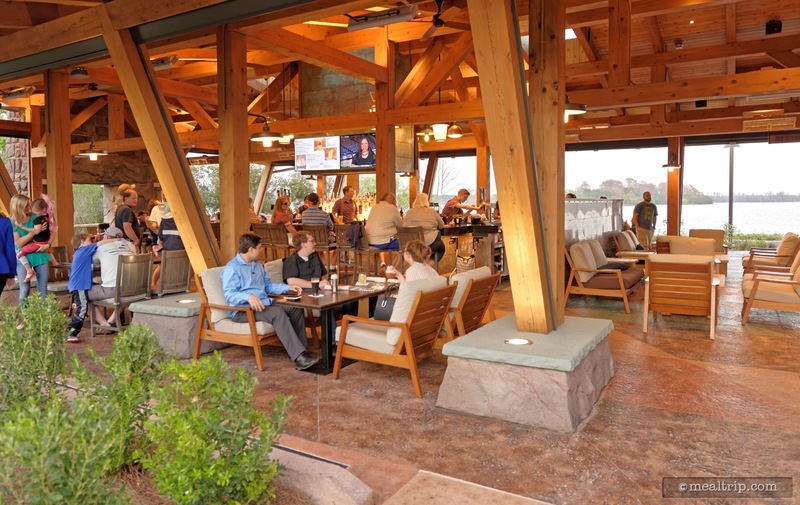 Geyser Point is not out of line with other Disney lounge offerings. Now, there is a little oddity here, and that is the very nearby Geyser Point Bar and Grill counter service dining location. 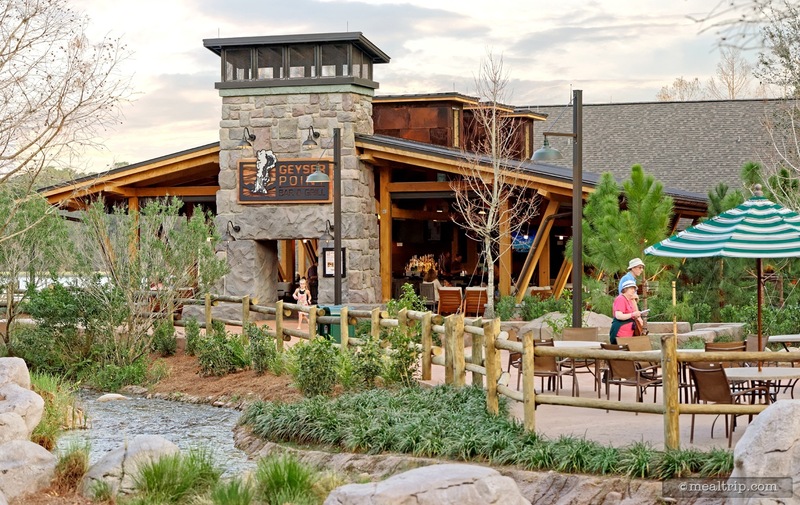 The Wilderness Lodge's "usual" counter service location (Roaring Forks) is down for refurbishment and so a side window at Geyser Point is serving breakfast, lunch and dinner options. The food looks amazing (check out our Geyser Point Breakfast and Geyser Point Lunch and Dinner pages for more information), but (for the time being anyway)… it appears the counter service location and the lounge are sharing seating. On the night I was there, this didn't seem to be too much of a problem. In fact, its' kind of nice to have all of the options right there… but we'll have to see what happens as the Geyser Point location gets more popular. 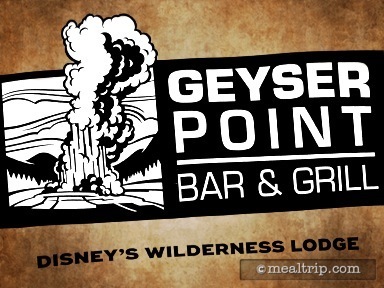 I have seen Roaring Forks and the Territory Lounge full of guests before… all of those people… all at the same time… are not going to fit in the Geyser Point's footprint. 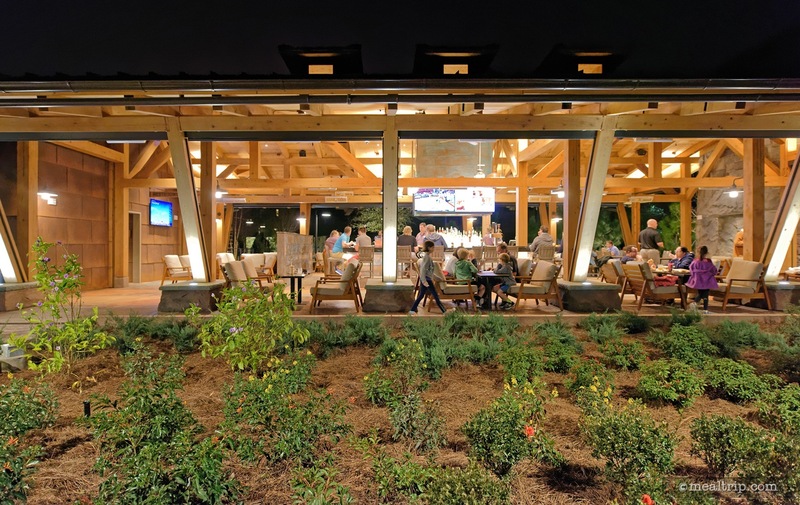 So while I can't say as though I witnessed any issues first hand, it would seem that if the counter service window becomes a full-time addition to the resort (after Roaring Forks opens again)… there may have to be some additional seating added to accommodate guests. The area surrounding Geyser Point Bar and Grill, still seems to be in development mode though, and doesn't quite feel "finished". There may well be more seating in the works. Only time will tell. But with just looking at the "lounge" space… it's gets two thumbs up from me! CLICK HERE to view all 27 images in our photo gallery.